The play I chose was “Othello.” The act and scene I read were Act 3. Scene 3, and the line numbers were 199-208. 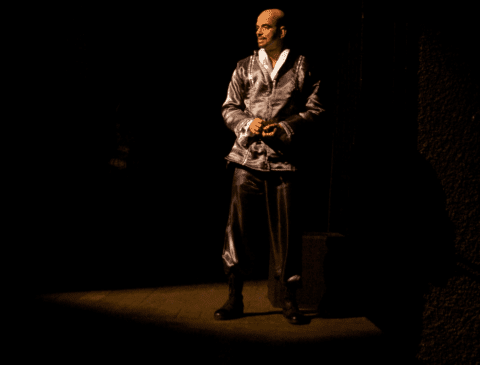 The character I played was Othello. What I learned was how much my voice changed little by little as I kept reading, the volume in my voice went from high to low, and it was much clearer. I read slowly, but I read calmly just like my character. I am usually the kind of person who reads really fast. I understand that Othello speaks his mind freely in a very calm way, but with much passion. Calm, but with passion by Juray is licensed under a Creative Commons Attribution-ShareAlike 4.0 International License.